HARLEM, Manhattan (WABC) -- Two women are wanted in connection with another slashing and robbery in New York City, this time in Harlem. The NYPD said the suspects, both armed with razor blades, attacked the woman at Lenox Avenue and West 116th Street at 6:05 p.m. Monday night. During the robbery, the victim - a 32-year-old woman - was slashed across the face and upper body with a razor. She sustained a laceration to the right side of the cheek and her nose. She was treated at St Luke's Hospital. Her cellphone was stolen during the ordeal. 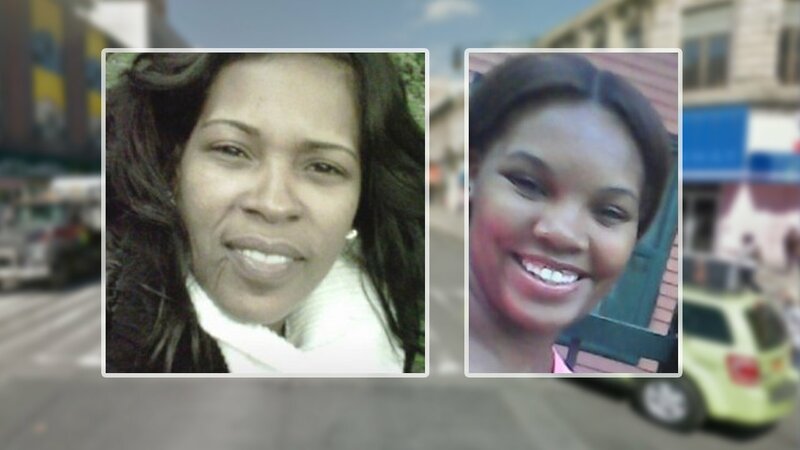 The suspects, identified as 39-year-old Jameelah Harrison and 31-year-old Dashonia Harrison, fled northbound on Lenox Avenue in a black Chevy Suburban. The NYPD said the victim knew her attackers. Anyone with information about the suspects is asked to contact the NYPD at 1-800-577-8477.